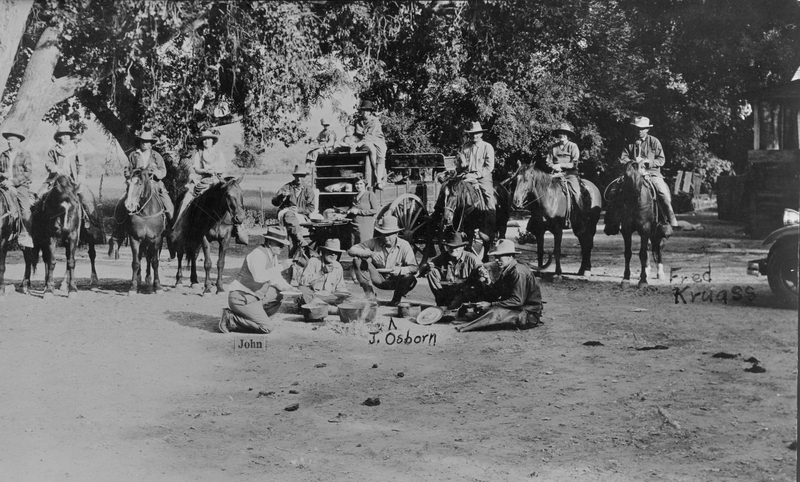 The basic elements of a chuck wagon meal on the trail were meat (usually beef) beans, rice, and biscuits. Potatoes were popular at meal time when they were available. 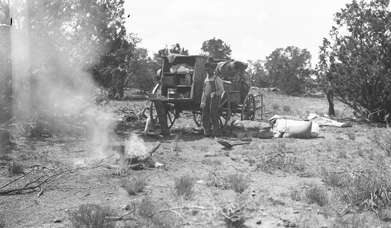 The cook brought very few canned items on the trail because of the added weight of the cans. He did, however, usually carry canned tomatoes and milk. Other items the cook was happy to have when he could get them included onions, garlic, butter, and dried fruit. 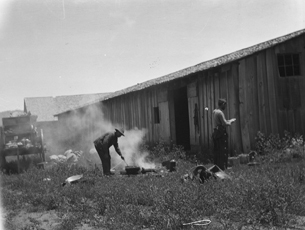 Cheese, prepared sauces and rubs, mayonnaise, sour cream, and other such items were rare or non-existent on the trail.